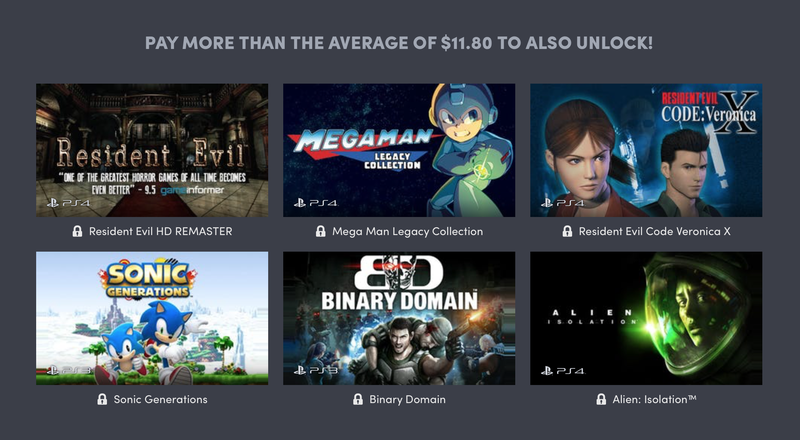 The vast majority of Humble’s game bundles focus on PC games, but their latest collaboration with Capcom and SEGA is just for PlayStation owners. The bundle includes a dozen titles (seven for PS4, three for PS3, and two for the Vita), including hits like Alien Isolation, Valkyria Chronicles Remastered, and Mega Man Legacy Collection. As always, you can name your own price, but you’ll need to pay at least $15 to get all of the games. As an added bonus, Humble Monthly members (you are a Humble Monthly member, right?) who unlock the highest tier will also get $2 added to their Humble Wallets.